The programs at this year’s WestPac Annual Meeting raised a number of provocative questions. Can you use superheroes and comic books to teach law school students concepts of law and justice? Do popular films provide a forum to work out knotty social and legal issues like the definition of marriage? Does WestlawNext mean the end of the world as we know it? The topic closest to my pinot noir-soaked heart however was a presentation on wine law. Richard Mendelson, who teaches at UC Berkeley School of Law, practices at Dickenson, Peatman & Fogarty, and somehow finds the time to make and sell wine under his own label, spoke to the group about the legal issues which have swirled around the sale and consumption of wine in this country. While much of his talk was about adult beverages in general (fun fact: alcohol is the only consumer product mentioned in the Constitution – and it’s in there twice thanks to the repeal of Prohibition), wine has some unique history of its own. Our early American ancestors viewed wine more charitably than they did stronger spirits; religious, medical and political leaders of the 17th and 18th centuries often exempted wine from their invectives against alcohol, and sometimes outright encouraged its consumption in moderation. Unfortunately, wine produced domestically at that time was . . . bad. 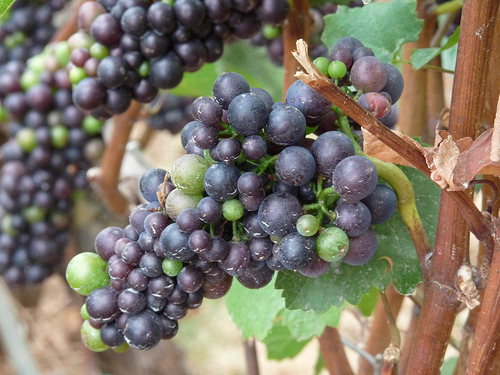 The eastern seaboard of the US is not an ideal location for viticulture, and producers took to fortifying their wines to make them more palatable. These higher-proof wines were not what Thomas Jefferson had in mind when he said “Wine brightens the life and thinking of anyone” – they were closer in spirit (pun intended) to the more devilish rum. Wine, originally exempted from church abstention pledges and generally viewed with tolerance, became associated with drunkenness and intemperance along with its stronger cousins. During the Prohibition era, wine and wine drinkers enjoyed several unique privileges. The production and sale of sacramental wine was permitted, no doubt giving rise to some “churches” of dubious religious intent. Medicinal wine was also legal – Mr. Mendelson shared with us an image of a doctor’s prescription for “port wine, 1 oz, 3 times daily.” Wine-based tonics continued to be available. One such tonic, Vin Mariani, contained not only wine, but also coca leaves, and benefited from the endorsement of several popes. Individuals were allowed to make limited quantities of wine at home for personal use. The overall effect was that during Prohibition, wine consumption actually went up. 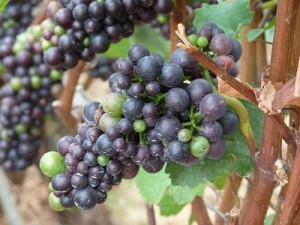 Present day legal issues around wine mostly involve what’s known as “direct-to-consumer” laws. Wine has traditionally been made available through a three-tier distribution system. It starts with the winery or importer, goes to a wholesaler and then to a retailer. Only retailers can sell to consumers. However, because of wine’s agricultural roots, wineries in some states have been able to ship their wines directly to local consumers, the same they way can sell their turnips or tomatoes. Granholm v. Heald, 544 U.S. 460 (2005) changed the game. Granholm says that state laws which allow in-state wineries to ship to consumers, but prohibit out-of-state wineries from doing the same are unconstitutional. Post Granholm, the tidy straight lines of the three-tier distribution system turned into spaghetti, with litigation and legislation to match. The Comprehensive Alcohol Regulatory Effectiveness (CARE) Act of 2010(HR 5034), currently in committee, is one attempt to restore the more traditional distribution system, essentially by undoing Granholm. What I’ve outlined here is just a sip of this full-bodied topic. If you’d like to learn more, or add some resources to your collection, a good place to start is Mr. Mendelson’s book – From Demon to Darling: A Legal History of Wine in America (University of California Press, 2009). A very tasty article. Good to know that someone is attending Westpac. A great article on wine and the law. Thanks so much for providing it! ← What are you Reading Cheryl Nyberg?